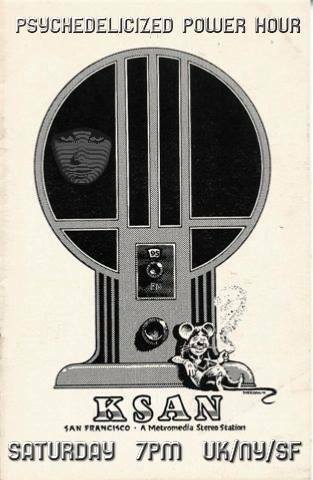 This Saturday tune in to Jive 95-KSAN, San Francisco, 1969! This week Psychedelicized Power Hour will hand over the music duties to Jive-95 KSAN, San Francisco. One hour of one of the great music stations of the psychedelic era. Featuring Tom Donohue, circa 1969. Saturday January 14 7PM UK/NY and San Francisco time. And girls. Can’t forget those San Francisco girls.